Resources Match is an online tool developed by Mission Asset Fund and designed to connect low- and moderate-income individuals and families to community services and programs. In turn, families and communities build their own long-term self-sufficiency. The service provides efficiency for both client and service provider, allowing individuals to receive a customized list of services matching their needs and demographics indicated by a short intake form. Resources Match also offers a partner portal that allows service providers to manage and track referrals along with added tools to keep case managers organized. 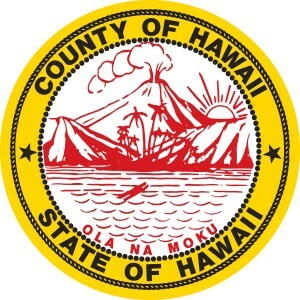 HACBED currently supports Hawaiʻi County Office of Housing and Community Development’s management of Resources Match. Support includes promoting and refining the program’s pilot on Hawaiʻi Island with initial partner agencies. Current Resources Match partners include Alu Like, Big Island Workplace Connection, Catholic Charities of Hawaiʻi, Division of Vocational Rehab, Hawai’i Affordable Properties, Hawaiʻi Community College, Hawaiian Community Assets, HOPE Services Hawaiʻi, Family Self-Sufficiency Program and Section 8 Training, Waipahu Community School for Adults – Kona, and the Workforce Development Division. In just the past year, we were able to partner with these resources in the creation of over 100 new client profiles and referrals and held a training for service provider partners in Kona.